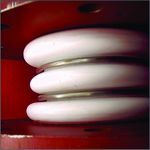 Mitsubishi Chemical Advanced Materials offers moulded KEYLON® PTFE COMPENSATORS/BELLOWS (up to 10 convolutions) from sizes 1" (25NB) to 24" (600NB). 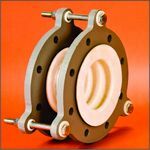 Our moulded KEYLON PTFE Expansion Joints and Flexible Couplings give greater flexibility and longer life for higher temperature service. 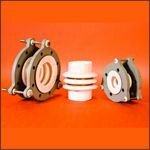 These bellows are manufactured from KEYLON® PTFE tubes. It is used predominantly as expansion bellows in glass lines, as well as compensators on pumps, mixers and other chemical apparatus, where typically a u-type convolution would be used. 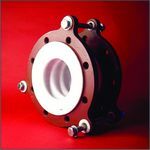 The measurements are such that any loose flange can be used from PN 6 to PN 16. Special bellows for all applications are available on request. 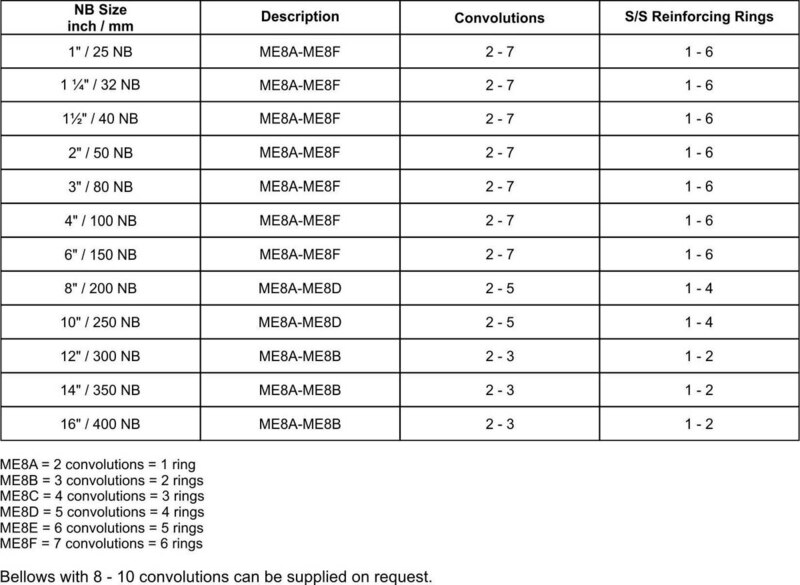 Reinforced Convolutions increase pressure without impairing flexibility during temperature changes in hot or cold fluids. 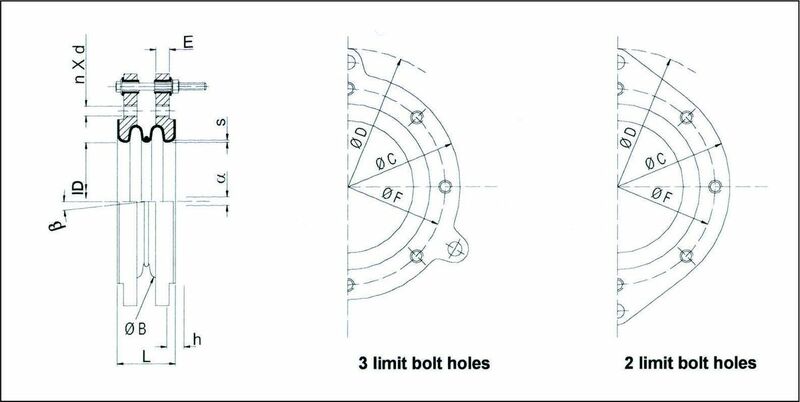 Grommets on Limiting Bolts assure quiet operation. Uniform Wall thickness eliminates stress concentrations for extended service life. Please note that machined bellows are available up to 40" (1000NB). Non-standard bellows are available on request. Selection of the correct style flexible coupling, expansion joint or bellows for specific service conditions is necessary for a properly designed piping system. However, for satisfactory performance of the joint, the complete piping system should be installed with sufficient supports, anchors and the best possible pipe alignment. 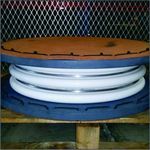 Style ME-8-B expansion joints permit expansion and contraction in piping systems, plus compensate for misalignment or angular deflection of flanges. With KEYLON® PTFE's chemical inertness, long flex life and zero water absorption, joints are suitable for hostile chemicals. Our sophisticated techniques of moulding produces uniform wall thicknesses from one flare face to the other. 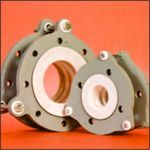 Metal flanges are protected from process fluid by a raised face-sealing surface of PTFE. Internal smooth bore sleeves are available to eliminate turbulence and product build-up in convolutions.